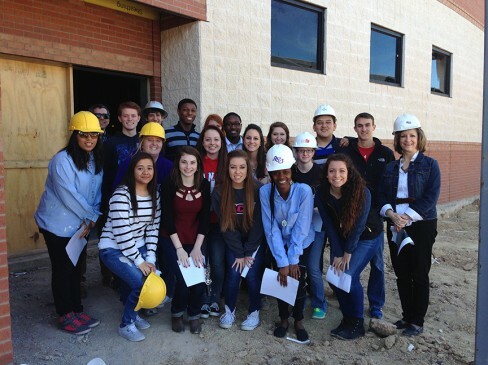 Interior Design and Architecture students toured an Abilene elementary school under construction with Professors Brandon Young and Kitty Wasemiller. The project tour was led by Adjunct Professor Steve Ellinger and Richard Rogers, both architects with CADCO Architects and Engineers. The group moved on to tour a house designed by Dustin Sizemore (INTD ’05) and under construction by Junction Builders south of Abilene in Potosi.